Game of Thrones has an after show. The Walking Dead has an after show. Now Top Gear will be getting an after show, because that’s what popular shows do these days. (Are you taking a note, Empire?) The new series will be called Extra Gear and it actually doesn’t sound half bad, especially for super huge Top Gear fans. Since Top Gear has a brand new lineup, it’s hard to know whether the new amalgamation will be quite as exciting as the former lineup, but the BBC is really going hard at trying to make sure fans stick around. One of the ways the network will do this is through Extra Gear, which will be available right after Top Gear airs on the UK network. The series will feature additional footage that didn’t make the final cut for the unscripted TV series. New interviews and behind-the-scenes footage will also be a part of the program. Finally, Extra Gear will also sometimes feature new segments made entirely for the after show. The better after shows usually feature new content, including interview footage and the like. The worst after shows are basically recaps of what happened with pithy commentary. (Don’t get me wrong, I like a little bit of that, but not a full half-hour.) Extra Gear looks like it will have both, so the real test will be whether or not fans are actually interested in getting even more Top Gear with the new series. 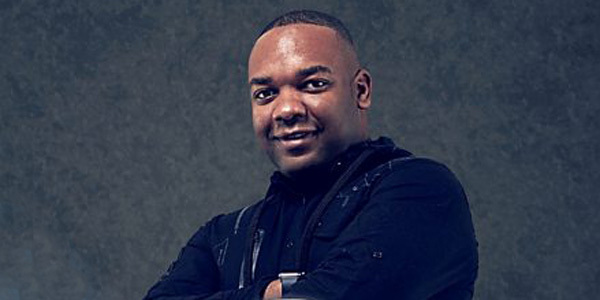 Top Gear host Rory Reid will also host Extra Gear. In the UK, Extra Gear will be available on the BBC Three’s page, as well as via iPlayer. Elsewhere where Top Gear airs, distribution will look a little different. The network says that Extra Gear will also be available internationally via BBC America and BBC Brit. We'll let you know when more details surface. Top Gear was off of the schedule for a while after Jeremy Clarkson’s firing, but the network know has a brand new lineup it is calling the Magnificent Seven. That lineup features Chris Evans, Matt LeBlanc, Sabine Schmitz, Chris Harris, Rory Reid, Eddie Jordan and The Stig. Filming for the new season has been going on for quite some time, and the BBC only recently revealed the show will be back on the airwaves this coming May. This means it is going to premiere a lot sooner than Amazon's new car show, which will boast the old Top Gear lineup. We'll let you know when the Amazon series, which also recently started production, gets a premiere date. In the meantime, you can check out what TV has coming up with our summer TV premiere schedule.